A step-by-step instruction on how to trade duty-free with the countries of the European Union (EU) and the Eurasian Economic Union (EAEU) through Kyrgyzstan. The Eurasian Economic Union (EAEU) includes 5 countries: Russia, Kazakhstan, Kyrgyzstan, Belarus and Armenia. Between these countries there are no customs borders. 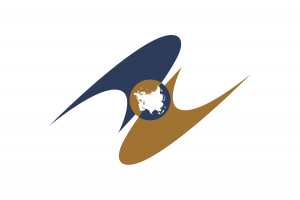 The EAEU provides free movement of goods, service, people, capital and the conduct of a coherent or unified policy in the economic sectors . Free movement of goods was established in principle through the customs union between its member states. If you are exporting goods, for example, to Kazakhstan or Kyrgyzstan, then the goods cross the borders of other EAEU countries freely, without duties and customs fees. 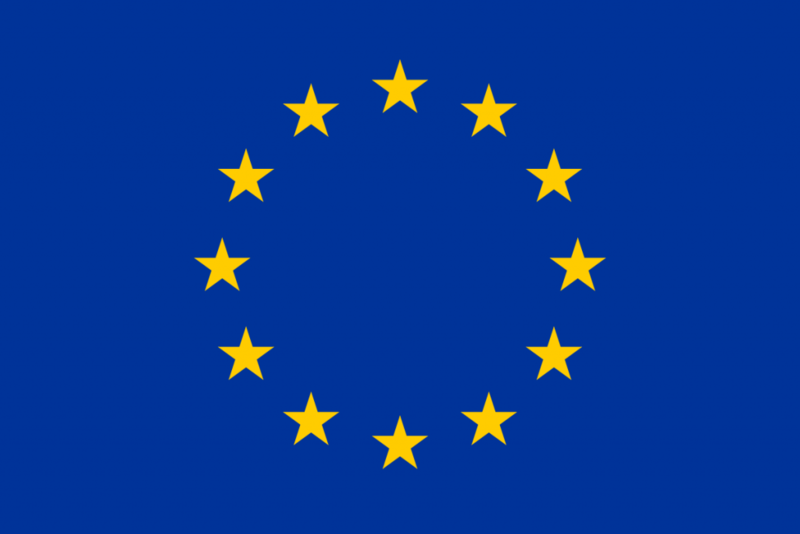 The European Union (EU) is an economic and political union of 28 European states. The EU also ensures free movement of goods, services, capital and labor. The share of the EU, as a whole in the world gross domestic product, was about 23% in 2017 (21.7 trillion $). Kyrgyzstan is a democratic country in Central Asia. Why Kyrgyzstan is the gateway to the EAEU and the EU? The total population of the EU and the EAEU is about 700 million people. 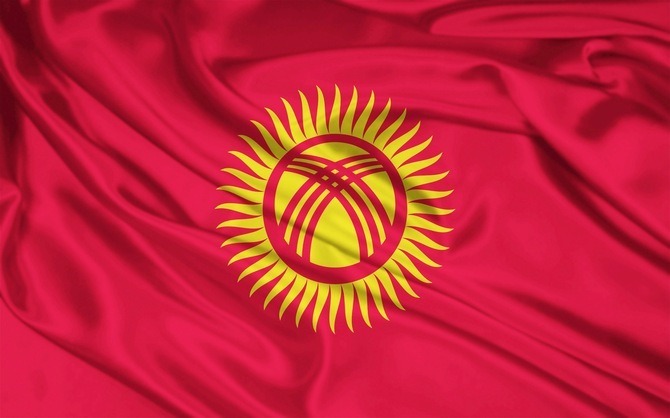 Kyrgyzstan is a fully-fledged member of the EAEU and a member of the “General System of Preferences +” (GSP +) program. The EU GSP + system is a trade policy tool that eliminates customs duties on imports from developing countries in order to contribute to economic growth and to increase export potential of developing countries . There are only 16 member countries, and Kyrgyzstan is one of them. Due to the GSP + , exporters from Kyrgyzstan are able to supply more than 6 thousand products to the EU on duty-free basis . Thus, goods produced in Kyrgyzstan can be exported duty-free to the EU and EAEU countries, that is, to a 700 million market for solvent consumers. 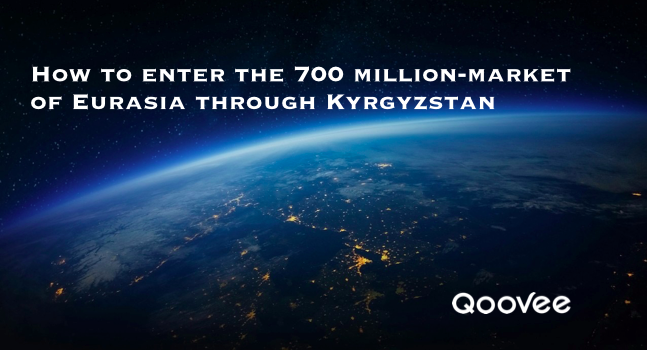 Open an enterprise or a joint venture in the Kyrgyz Republic. We recommend opening a LLC (analogue to the Russian LLC). Upload photos and video of your products, make a detailed description in at least 2 languages: Russian. and English. Qoovee will provide a detailed analysis of the demand for your products in the EU and the EAEU, for this you need to fill out this form. Start promotion and receive orders from wholesale buyers from the European Union and the EAEU countries. How does Qoovee guarantee making a safe deal (Trade Assurance)? The seller ships the goods (or provides the service) to the Buyer. After the Buyer has received the goods / service, the Seller is credited with money for Goods / Service , after counting and charging the Qoovee commission. Kyrgyzstan is actively developing opportunities for foreign investors, an unprecedented fight against corruption is being conducted. The country is on the Great Silk Road, borders with China, which also gives unique opportunities to enter the Chinese market. Issyk-Kul lake. The photo illustrates 4 seasons at once. The light industry of the country conquers the world market and actively competes with Chinese suppliers in the CIS market. The IT sector is also actively supported in the country. A High Technology Park (HTP) was established, residents of which are exempt from taxes and insurance premium payments. Only 1% of the turnover is paid to the Directorate of HTP to organize its activities. Kyrgyzstan has no political issues with any of the countries of the world, and is not under sanctions. The country is considered to be the most free and democratic in Central Asia. A separate Agency for the Promotion and Protection of Investments has been established in the country, which guarantees the smooth running of business within the country. Success in conquering the Eurasian market!